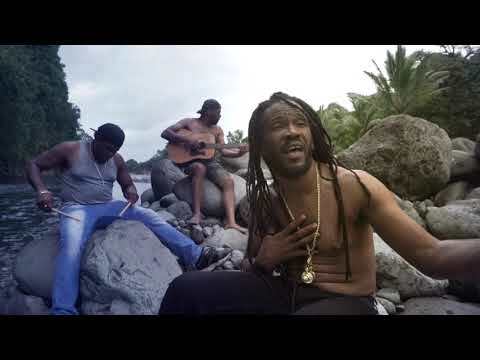 An exemplary exploration of the music and culture of Jamaica. 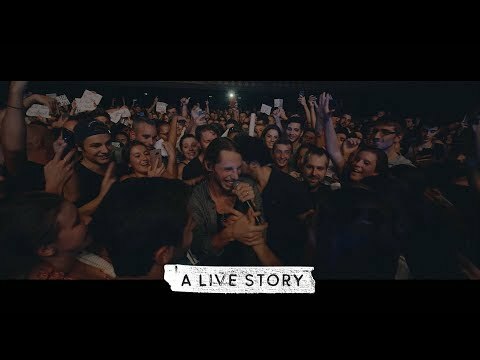 The Jamaica Jamaica ! 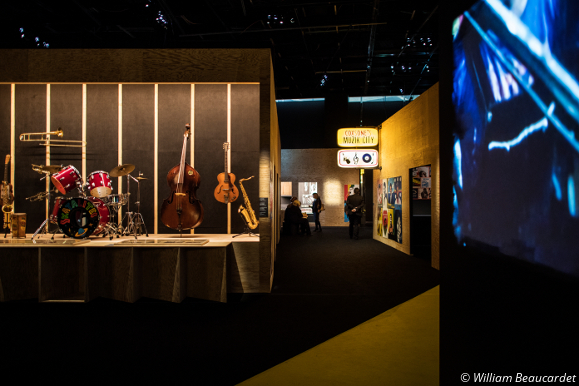 exhibition, on display at the Cite de la Musique until 13 August, is easily the most comprehensive overview of Jamaica’s complex and vibrant musical culture that I have ever encountered in an exhibition setting. Aiming to ‘restore its rightful place in the history of black music, looking beyond the clichés to which it is too often reduced,’ Jamaica Jamaica ! 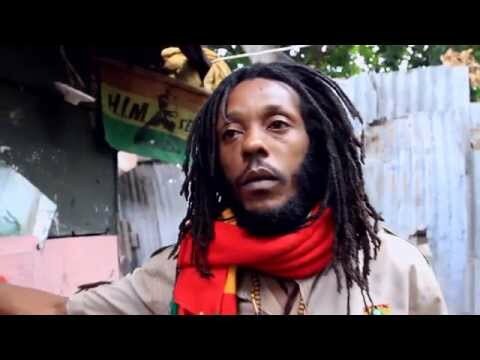 makes an effort to get beyond a mere surface-level exploration of reggae. 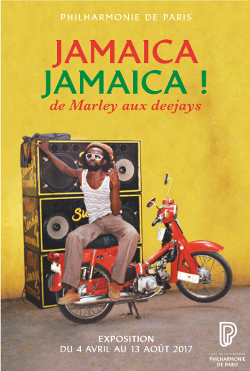 Instead, in seven thematic sections, the exhibition tries to provide the historical, political and social context so often missing from explorations of the music’s evolution, allowing for a ‘history of decolonisation through the music,’ as well as the widespread influence various sub-genres of reggae have had on popular music at large. Musical artefacts, visual arts, film clips, audio and carefully-written text all helps guide us through the most important phases, the end result being a nuanced and informed understand of how Jamaican music has evolved over the years, and just why it remains so important. The Cite de la Musique, which houses the exhibition, is a new flagship arts centre for the capital. Situated in the former slaughterhouse district of La Villette in the northern outskirts of the French capital, it has been a place of great controversy, since it was budgeted at €170 million, but actually cost €381 million to build. Nevertheless, from a visitor’s point of view, the spaceship-like structure is very striking, and it is encouraging to see the venue’s multicultural policy during a time when the exclusionary tactics of the Front National are gaining popularity in France. I visited the exhibition space on a Saturday afternoon, the same day on which Inna De Yard would perform in the adjoining concert hall, and some public discussion forums were taking place too. Upon exiting the metro station, a blast of roots reggae caught my ears and eyes: a large yellow van marked “Daddy Reggae,” was blaring a classic 1970s nugget through impressively embedded speakers, and a dreadlocked toaster was chatting on the mic in a convincing patois – all very nice to encounter in the glorious spring sunshine. It was perhaps inevitable that there would be a very long line to get into the exhibition on such a day, though many of the visitors seemed unconnected to the other events; they most likely came simply out of curiosity. Once inside, the exhibition began with some basic historical information about Jamaica, starting with the arrival of Columbus in 1494 and the Spanish control of the island until 1655, when the English took it over through piracy, turning the island into a key hub of the slave trade. The transformation of the island into a plantation economy and the role of music as a part of resistance is already present here, via Cosmo Whyte’s intriguing sculpture, ‘The Well-Travelled African,’ which is a mobile Jamaican street-cart, complete with speaker boxes, playing some African music on a loop. Over on the right-hand side of this introductory area comes a real treat for mento fans: a display of original Jamaican rumba boxes from bands like the Jolly Boys and the Diggers, plus a number of original Jamaican mento LPs and 78s, including Lord Lebby’s ‘Ethiopia,’ probably the very first Jamaican recording to mention that African land. Turn the corner and you find yourself in the ska section, again with immediate visual treats: a Skatalites area has an original Don Drummond trombone, Lloyd Brevett’s upright bass, a Lloyd Knibb drum kit, a Tommy McCook saxophone, and the master tape for Roland Alphonso’s ‘Shake A Leg,’ as well as the guitar Headley Jones built in 1940—reputedly the first electric guitar to grace Jamaican shores. And there’s the massive ‘Music In Education’ signboard from the Alpha Boys School too. I don’t recall much in the way of rock steady as especially present in the exhibition, though the roots reggae centrepiece is another great treat: first, there is a recreation of the main recording area at Studio One, complete with an original battered microphone, and opposite that, a shrine to Lee ‘Scratch’ Perry, which aims to recreate part of his legendary Black Ark studio. There is also King Tubby’s original mixing desk and one of Augustus Pablo’s melodica cases, as well as the type of organ played by Jackie Mittoo. And there is an area devoted to Perry Henzell’s landmark film, The Harder They Come, including an original reel of the film itself. 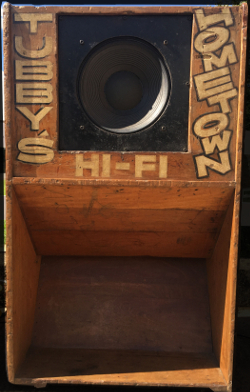 Turn another corner, and you are in the sound system area, with original vintage speaker boxes from King Tubby’s Hometown Hi-Fi, V Rocket, Tip-A-Tone, and the Wasp. 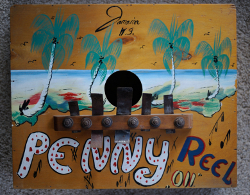 Paul Huxtable’s Axis Valve-A-Tron is on display too, and can be used by the public to ‘dub it yourself.’ Danny Coxson’s evocative portraits of Jamaica’s musical heroes are in abundance in this area too. There are some vintage sound system dance event posters and entry cards that are exceptional for devotees, and some great Beth Lesser foundation dancehall portraits, as well as Maxine Walters’ sound system dance signs. A sprawling area marked ‘Black Man Time’ delves into the importance of Marcus Garvey and the intricacies of Rastafari. Artwork by Kapo and others helps guide our way, and there are some original hand drums from the Mystic Revelation of Rastafari. 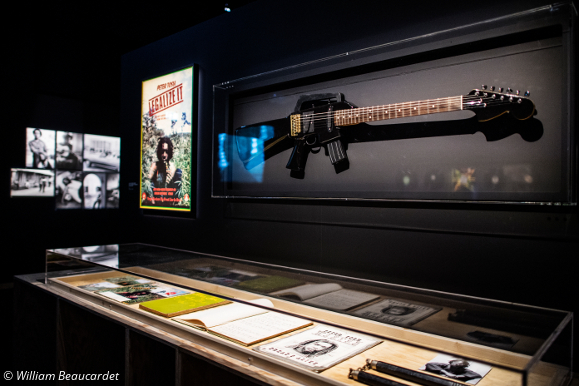 Then we hit the Wailers zone, with original musical instruments, rare dub plates and other memorabilia, including Tosh’s famous M16 guitar, though Marley, of course, is given pride of place here. Then, the exhibition closes with a large dancehall area, centred on Leasho Johnson’s lascivious installation, Back-A-Road. Exiting through the gift shop, there is an impressive range of books available in French on the subject matter, and the exhibition catalogue itself comes highly recommended—a 288-page hardcover tome, with the same level of seriousness and accuracy shown in the main event. This is not the kind of exhibition that one can rush through at all; there is really much to take in, absorb, and think about. It is a truly thrilling and enlightening experience, from start to finish. Of course, there were a few inevitable errors, such as the familiar misnomer that Coxsone Dodd had ‘the first black-owned studio on the island’ (which is not correct: Lindon Pottinger has the honour of that title). Similarly, it probably should have been made clear that the painted portrait of a dreadlocks man, with painted handprints all over it, was not actually painted by Lee Perry, despite his name adorning the canvas (Perry simply provided the handprints). And there were also a few areas at the beginning of the exhibition could have been better illuminated. But these are tiny points barely even worth mentioning. By partnering with the right people in Jamaica and elsewhere, curator Seb Carayol has truly come up trumps with what can only be described as a magnificent exploration of the rich complexity of Jamaica’s musical culture. I cannot recommend the exhibition highly enough—make sure to go and see it before it closes on August 13, and allow yourself enough time to see it properly when you go there. Well worth the price of admission—even if you need to take a plane, or hop on the Eurostar to get there. In short, Jamaica Jamaica! 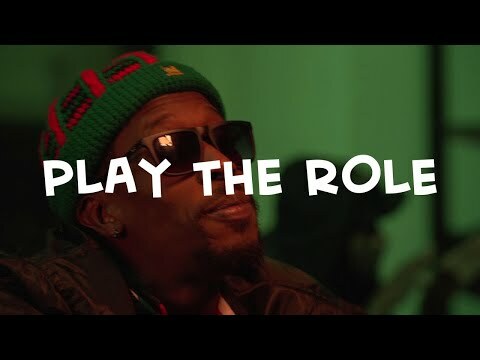 is an exemplary exploration of the music and culture of Jamaica; hopefully, sometime in the future, the island itself will have a permanent display of a similar calibre. Lindon Pottinger didn't build his studio till 1967 and it was hardly used. He recorded at theaters and at RJR and JBC according to Roy Panton, Lord Tanamo and Winston Samuels.